Our programme is primarily addressing students from developing countries with an academic background in social science and working experience related to the subjects of Development and Governance. The following pages will guide you through the MA programme and provide information for applicants and students. If there are any question unanswered from this webpage, please do not hesitate to contact our support staff. 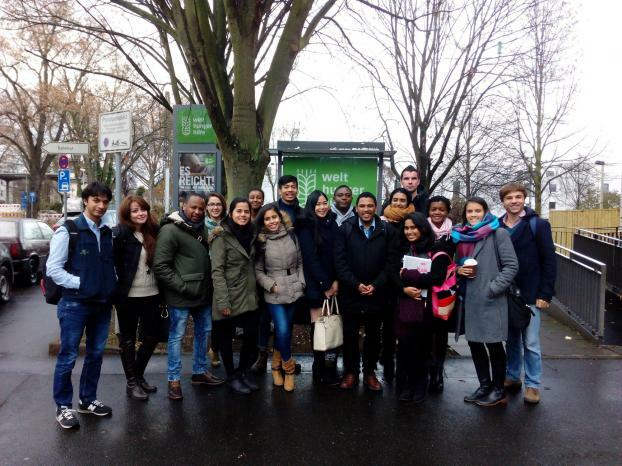 Our new intake has participated in the seminar “Germany’s Development Policy - Towards New Approaches” in Bonn. The seminar is a cooperation of the Institute of Political Science of the University of Duisburg and Engagement Global on behalf of the BMZ (Federal Ministry for Economic Cooperation and Development). 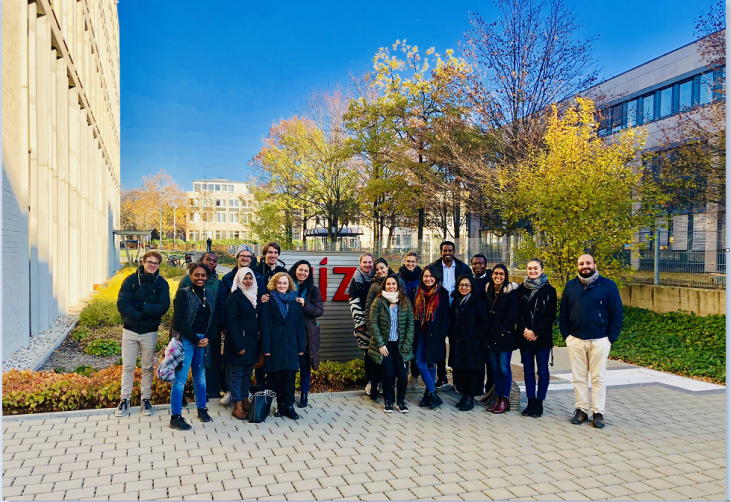 The students had the opportunity to get to know the German Development Policy in institutions such as the German Development Institute (DIE) or the Gesellschaft für Internationale Zusammenarbeit (GIZ). 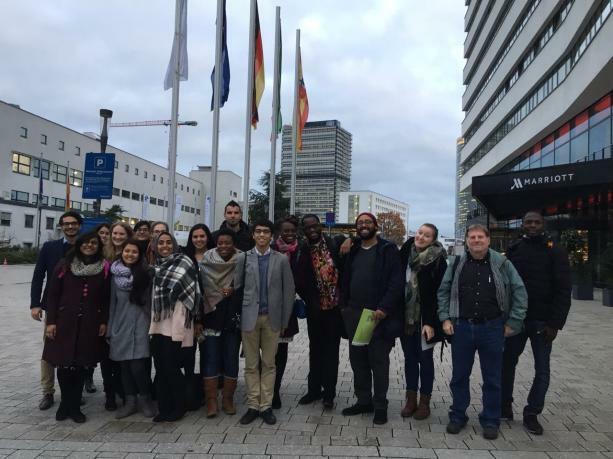 The German Association of Postgraduate Programs with special Relevance to Developing Countries (AGEP) is an umbrella organization comprising various postgraduate study programs oriented to developing and threshold countries as well as countries with economies in transition. AGEP (http://agep-info.de/) standards guarantee that its members maintain a high scientific level and apply modern methods of teaching and research. The lecturers are highly qualified scientists with additional comprehensive experience in research, project work and cooperation with institutions in developing countries. 17 students from Afghanistan, Bangladesh, Brazil, Colombia, Ecuador, Ethiopia, Egypt, Indonesia, Liberia, Namibia, Nicaragua, Romania, South Africa, Syria and Thailand will be pursuing their studies in the academic year 2016/17. 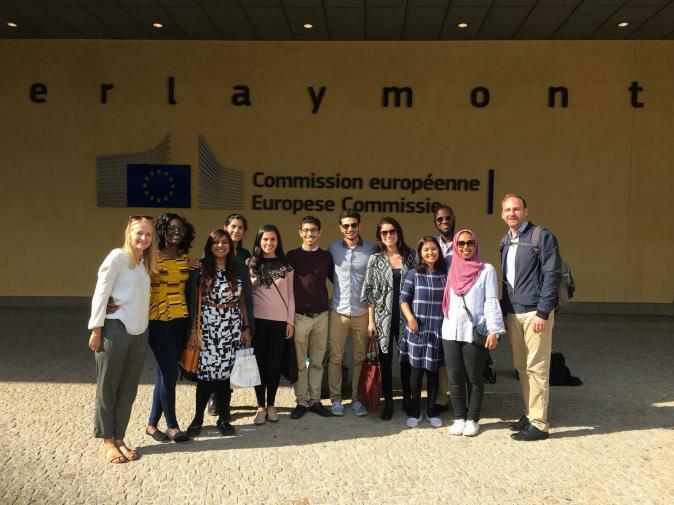 With the support of the Institute of Political Science, a group of international students pursuing M.A Development and Governance at the University of Duisburg-Essen made a study tour to the EU-quarter in the city of Europe, Brussels, on 1st July. In connection with the course on the European Politics, the tour is led by Prof. Dr. Michael Kaeding. 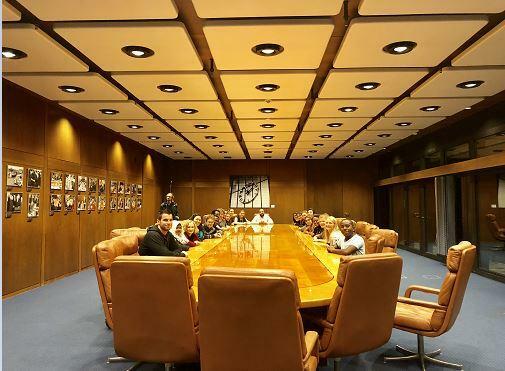 The group also had the opportunity to visit The European Parliament. 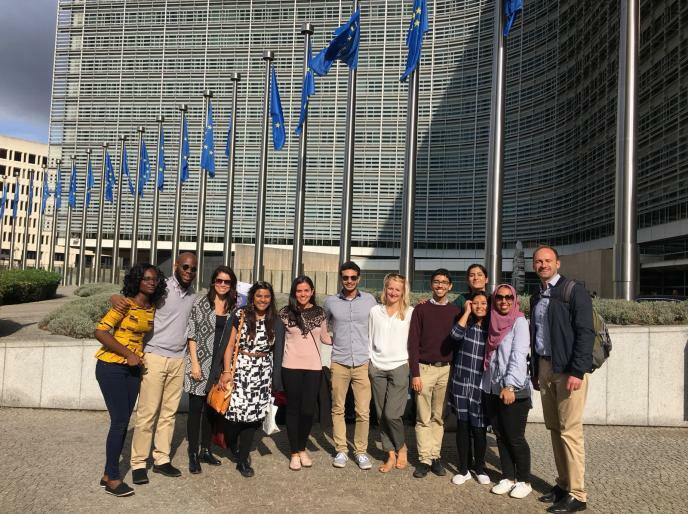 All participants of the tour share the feeling that visiting and experiencing the EU-quarter in Brussels was fascinating as well as inspiring for the students. 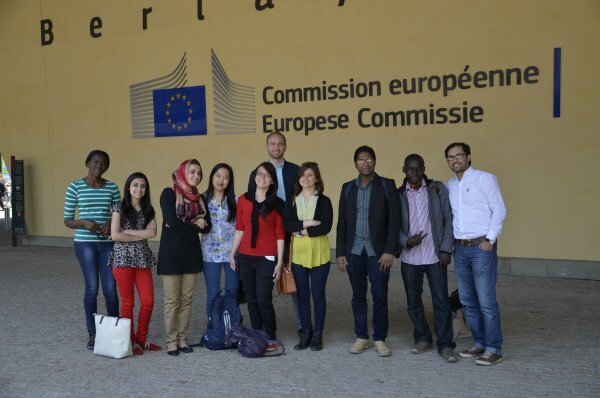 Our special thanks go to Prof. Dr. Michael Kaeding for giving us such an amazing experience visiting the real EU environment. In May 2014 Dr. Linda Akua Darkwa visited the Institute for Political Science. She is a fellow at the Legon Centre for International Affairs and Diplomacy (LECIAD) at the University of Ghana, Legon. The visit was part the existing cultural, educational and scientific co-operation between the two institutes. Ms. Darkwa focuses on two research areas: security during and directly after situations of civil conflict and the gender dimension of international conflicts. During her two-week stay in Duisburg Ms. Darkwa held workshops and lectures for the two Master programmes “International Relations and Development Policy” and “Development and Governance” on gender aspects of violent conflicts, as well as on political transition and democratic consolidation in Africa. Gender does not only offer a critique of current approaches to security and post-conflict development. Ms. Darkwa demonstrated how gender sensitive planning and implementation can improve post-conflict development. They can help sustain piece by systematically changing structural power relations in a society. The lectures gave the students the possibility to learn a different, non-European perspective of security and development, and was enriching for everyone that participated in her lectures.